Hawkeye Services offer a full complement of tree services. 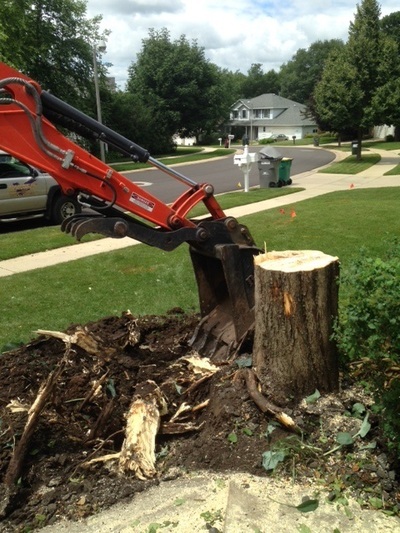 We remove trees and stumps. 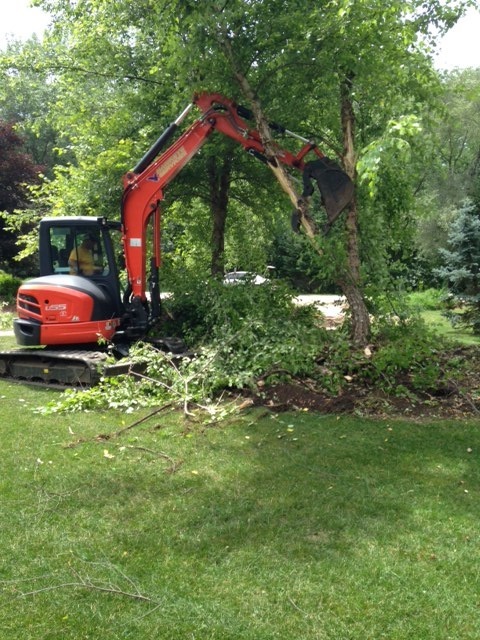 We can also do stump grinding. The holes can filled in and seeded. Our equipment (boom truck, bobcat w/grapple, backhoe, dump trailers) are top notch. We will cut up the trees and haul out stumps, logs and brush. The tree site will be cleaned up of chips and branches. Our professional staff employs safety measures for personnel and property. 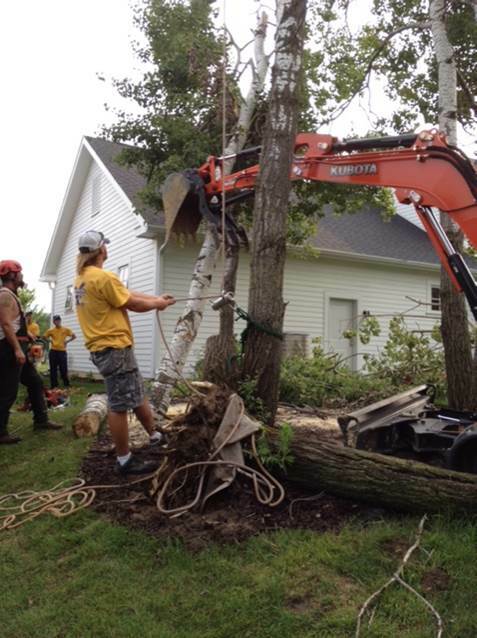 We have a certified arborist who can consult on tree problems and tree services. Hawkeye Services can spray your trees for disease and pests. 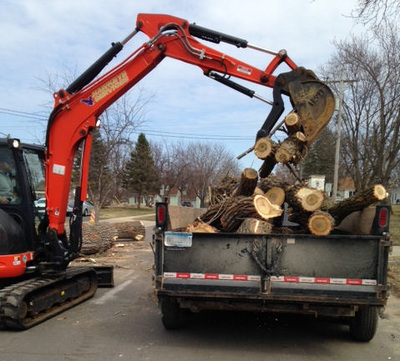 Small projects, such as bush removal or large projects such as city contracts, we handle them. We do tree planting from 3 inch balled evergreen trees to small maples, etc. Emergency ,storm damage, or on demand work are situations Hawkeye Services can handles well. . We have over 20 years of experience in providing tree services. 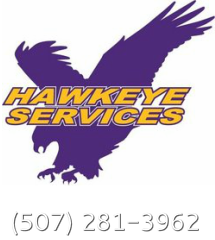 Call Hawkeye Services for a free estimate and experience a quality job. We offer flexible payment options – prepay with discount or per time charge. We accept credit cards as well. Mouse over photos to read the caption. Loading the logs into the dump trailer.